He wasn't the perfect father. Samuel Ross Lancaster was born on March 12, 1924 to Samuel Lancaster and Mary Jane Ross. He was a holy terror, and drove his parents up a tree. He used to steal watermelons and eat only the heart, leaving the rind. He left home early. Went to war, became a sniper for the Marines. Wore a beret. Never finished school, but spoke Spanish, French, Portuguese, Italian, German, English and Tsalagi-Atali. Got a Purple Heart in World War II, fighting in Europe. He drove trucks, washed dishes, did construction, and worked his tail off. He stood up for himself, a proud Cherokee, determined to beat the stereotype that was put out there by the dominant culture, of the lazy Indian who never worked but got drunk all the time. He was a Disney fan. Went to Disneyland annually, often working six days a week in order to afford a week's stay at the Disneyland Hotel for himself and his family. He loved to gamble; Harvey's in Lake Tahoe was his favorite, and he was a member of the High Rollers Club. He adored his wife, Shirley, and never forgot his promise to buy her diamonds, even if it meant more hours on Saturday. He even sang to her at the Sahara in Lake Tahoe, crooning from a stage-side table as Dean Martin stepped down from the stage to sing along with Dad to my Mom. He wasn't perfect. He drank, excessively, until it nearly killed him and had devastated the family and his beloved wife. In 1984, he finally got on the wagon and stayed there to his dying day. Dad drank a lot. And I do mean a lot. He weakened his liver and his immune system by doing so. He carried too much weight around his midsection, and opened himself up to diabetes. In 2000, Dad was diagnosed with diabetes as I was. They called it borderline. He watched his diet and was careful; I got him a meter when I helped out at an event for SaVon Drugs Stores. Dad never used it, believing he was doing enough. His doctor insisted it was still borderline. Dad had continuous problems with circulation. Wounded in his feet and having club feet, the drinking didn't help. He wound up having vein bypasses in both legs. One leg got bad, however, and he had no choice but to enter the hospital in November of 2001 for treatment. I was called to come, as Dad's health had deteriorated to the point that he could pass away on the operating table. Dad survived the operation and kept his leg; but he had other issues. His lungs were full of infection; they had to be pumped constantly. He was on a liquid diet and I inquired as to what it was. I was informed it was a sugar solution. I asked them to check Dad's H1 AC numbers, to verify his blood sugar intake. It took five days of ragging on my part before this took place. Dad was no longer borderline diabetic. He was now full blown diabetic, with high blood sugar. He was immediately put on insulin. He was now also end stage emphysema, an odd thing since Dad stopped smoking around 1958. In the meantime, I had a doctor, who shall remain nameless, who pushed us to pull Dad's plug, stating it was what my father wanted. He babbled on and on about my Dad and this was his choice, blah, blah, blah. Somehow, I didn't buy it. It didn't sound like my Dad. My father wasn't the type who wanted to go "gently into that good night." With him, it was more like kicking, screaming and fighting it tooth and nail. That was the father I knew. So I asked Dad. "Is this what you want? If it is, I'll pull the plug." My father, weakened as he was, managed to pull his hand into a fist of pure rage. "HELL NO!" he gasped, and then lay back on the bed. I went out to the doctor and told him. "Dad's not getting unplugged. He doesn't want it and you can't do it. That's all there is to it. My father is a warrior and he's going to go out of this life AS a warrior. He stays." The doctor in question tried various stunts to get us to unplug Dad. Pressuring my mom. Pressuring another doctor. Finally, I made it clear that Dad wasn't moving unless he and my mother wanted it. This was their wish, and I was going to stick to it. Mom began to make arrangements to get my father out of there, and after some wrangling, we got my father to a different specialist and medical center in San Leandro, where he got a few months to say good bye to my mother. The doctor from the other hospital said he would not live to see Christmas; he lived past Christmas, and died shortly after his birthday, on March 17, 2002. Dad was in pain that night, but he asked the nurse to bring something for it. He gave her a wink...ever the flirt...and walked on to the Nightland, with the wink frozen on his face. We cremated my father and per tradition, he held a bundle of sage, sweetgrass, cedar and tobacco in his hands, wrapped in deerskin from his home reservation in Oklahoma. 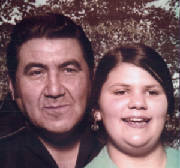 Dressed in his ribbon shirt, he was smudged with sage, and the last thing placed into his casket was the Eagle feather given to him in honor of his military service at a pow wow in his honor in 1991. Some of his ashes will remain with my mother, to be buried with her when she walks on. 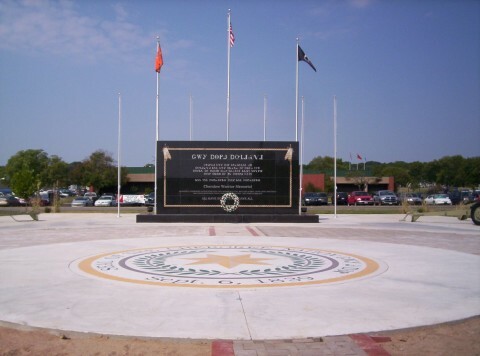 Some were taken to Oklahoma in 2003 and quietly interred in a morning ceremony with members of the tribe present, near the grave of his ancestor, Chief John Ross, whose link to my father was verified by the late Leon Gilmore, tribal historian under Chief Ross Swimmer. All donations will be gratefully accepted. If you are interested in participating in the Cruise Against Cancer, which benefits the American Cancer Society, contact me for details. A memorial fund will be set up at a future date; watch these pages for updates. He wasn't the perfect father. But I love him and I miss him. From album Walela, Triloka Records, 1998. 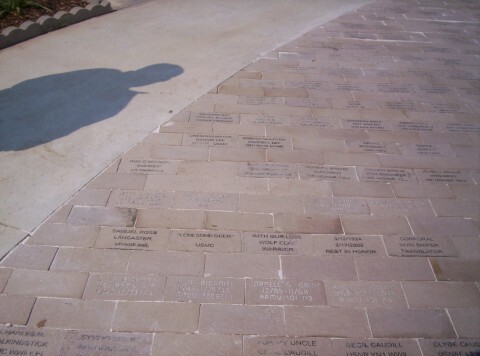 This Memorial honors all Cherokee Veterans who served their country and tribe. Installed in August, 2005. The installer led us; he said he would never forget my father. 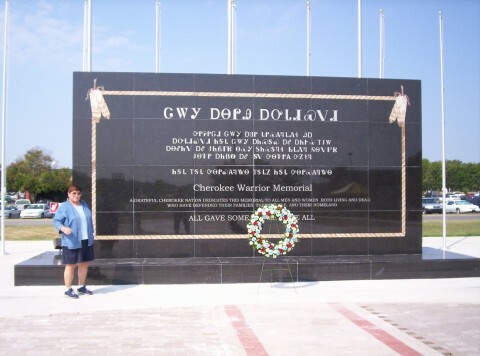 My mother traveled to this Memorial in 2005. One of the proudest days of our lives. My father finally was home with his people.